When you make the decision to follow a ketogenic diet and start reading about it on the internet, chances are you’ll encounter mentions of MCT oil. MCT is an abbreviation of medium-chain triglycerides, and MCT oil is a source of fat that is typically derived from coconuts, though it may also come from palm oil. It’s important to note that coconut oil is not the same thing as MCT oil because this is a common source of confusion. If you encounter these two oils in person, the difference is obvious; coconut oil is solid at room temperature whereas MCT oil is liquid. One of the first contexts in which I saw MCT oil mentioned was when keto dieters on reddit were discussing making “bulletproof coffee,” also known as keto coffee. Bulletproof Coffee is a branded product, yet the term is often used by keto dieters whenever they add fat sources to their morning coffee. Typically, butter, MCT oil, or both are used. It’s also common to mix MCT oil with protein shakes or tea. On keto, many people try to eat between 65-75% or more of their calories from fat, and MCT oil helps them hit those goals. Most people don’t have a good sense of how much fat different foods contain before they start tracking their macros. I recommend checking out Perfect Keto’s post What Does 30 Grams of Fat Look Like? to see images of healthy fats portioned out (including the MCT oil powder discussed in this post). Personally, I tend to use enough oil when I cook to get sufficient fat without adding it to my coffee, and I don’t obsess over eating large quantities of fat anyway. As long as I keep my carbs low, I stay in ketosis just fine, and often I eat more protein than fat without any problem. However, when I was new to keto and hadn’t quite figured out what foods I could eat, using MCTs helped me get enough calories in a day, and they’re still helpful if I’m in a hurry and don’t have time to cook. MCT oil is reported to have benefits beyond just helping people hit their macros; MCTs have a shorter fatty acid chain than other fats, which enables the body to convert them directly into energy. Does MCT Oil Have Side Effects? Unfortunately, while MCT oil is a great source of fat and fuel for keto dieters, many people do report side effects when they use it. The common side effects are mainly digestive issues and gastric distress. This is not something I’ve encountered myself, but I’ve never used more than a tablespoon at once. Anyway, if you don’t want to use MCT oil super sparingly, the risk of side effects may be a problem. 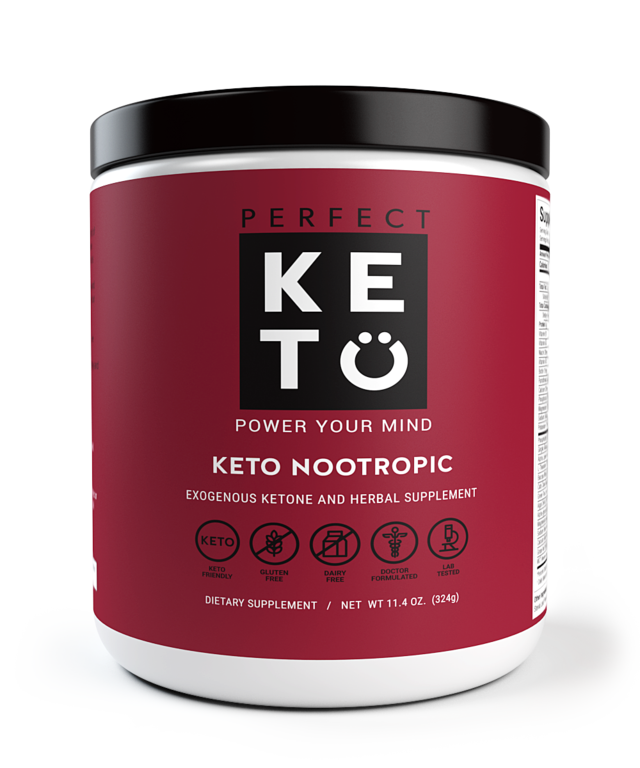 This problem is solved by Perfect Keto’s MCT Oil Powder, which makes it easy to consume large amounts of MCT oil and experience mental clarity and other benefits without the side effects. I’ve heard a lot of people say that they can ingest “dry” sources of fat such as nuts and seeds better than liquid fats, and I can confirm that this is true for me as well. MCT oil powder is likely easier to digest than MCT oil for the same reason. What Is MCT Oil Powder, and How Is It Made? Wondering how an oil can turn into a powder? MCT oil powder is produced through a process known as spray drying. The trouble is that during production, many MCT oil manufacturers use additives such as starch and milk proteins, resulting in an impure product. Now, I didn’t want to use a product with unnecessary fillers, so hearing about this problem made me hesitant about Perfect Keto’s MCT Oil Powder at first, but never fear! I was relieved to find out that Perfect Keto uses absolutely no fillers in their pure MCT oil powder. MCT Oil Powder is excellent in your morning coffee and also makes a stellar addition to a post-workout shake. If you’re not a coffee drinker, go ahead and add it to your tea! You’re likely to find that it is a welcome addition to your daily keto supplement regimen. Brew a single cup of coffee (or two if you’re a caffeine addict like me). Pour the coffee into your blender, and add one or two servings of MCT Oil Powder. Transfer the mixture into a coffee mug. I should mention that while an ordinary cup of coffee with MCT oil will provide mental energy, your brain’s state will be even more optimal if you add nootropics to your beverage. 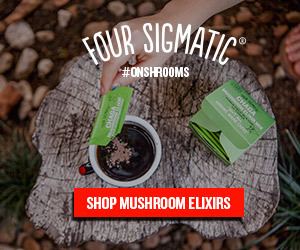 One of my favorite nootropics is lion’s mane mushroom, and this cool company called Four Sigmatic creates mushroom coffee mixes with lion’s mane and other medicinal mushrooms to power your morning. If you order from Four Sigmatic, make sure to enter my discount code FISHYKETO for 10% off. I love starting my day with mushroom coffee! Add one to two servings of MCT Oil Powder into your shaker cup with your preferred protein powder. Head to the gym with the shaker cup, and do your workout. Add water to the shaker cup right after exercising. Adding MCT powder to your protein shake can help you recover faster and give you more energy to get on with your day, especially after a hard workout. You Can Bake With It: I was really disappointed when I learned that MCT oil has a low smoke point, making it unsafe at high temperatures. MCT oil powder, on the other hand, can easily be incorporated into your baking. It’s Easy to Grab and Go: You can take it everywhere without worrying about spillage, and it’s so easy to measure a scoop. It Makes Your Coffee Creamy: This point doesn’t actually apply to me because I prefer black coffee, but if you like it creamy, you’ll definitely love the texture Perfect Keto’s MCT Oil Powder makes. It’ll make your protein shake creamier too. While I still have a big container of NOW Sports MCT oil in my pantry, I have been converted to the wonders of MCT oil powder. Like I said, I don’t use MCTs frequently, but I know they’re important to many keto dieters, and I urge you guys to try the powder over the oil. What Is Perfect Keto’s MCT Powder Made Of? 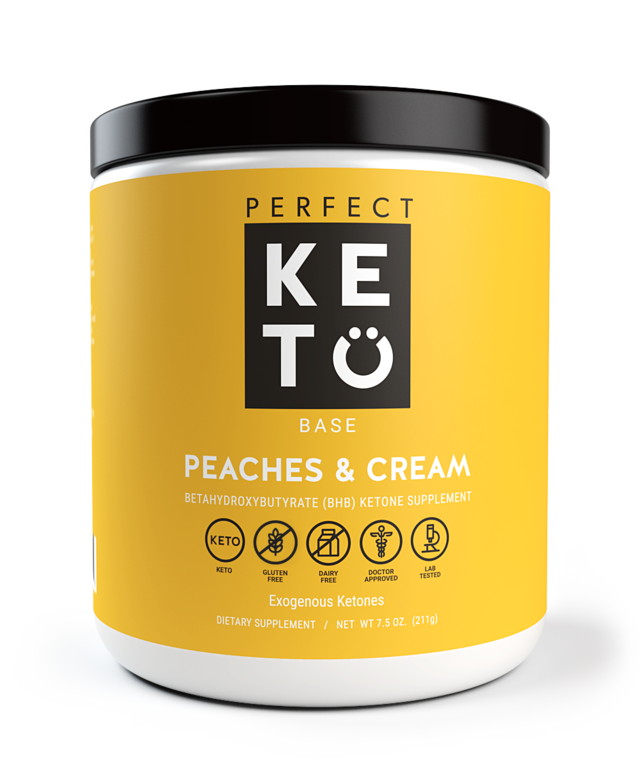 Perfect Keto’s unflavored and pure MCT oil powder is made of exactly one thing: 100% pure MCT oil! Just as it should be. Plus, the company lab tests each batch so you can feel confident about what you’re putting in your body. The vanilla MCT oil powder also contains natural vanilla powder and stevia leaf powder, while the chocolate flavor contains cocoa powder and stevia leaf powder. That’s it! 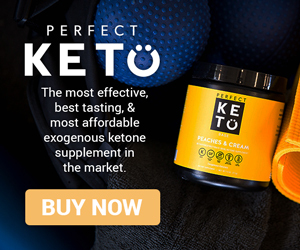 Get 15% off Perfect Keto’s MCT powder today with promo code FISHYKETO! 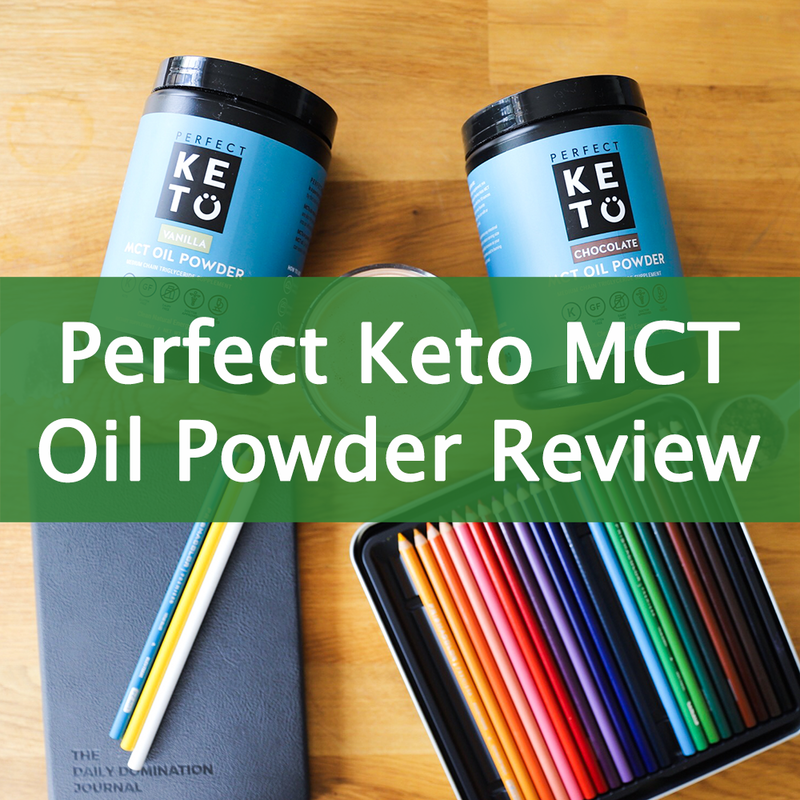 You can order Perfect Keto’s MCT oil powder on their website or on Amazon. If you order the MCT powder on Amazon, you can’t use the 15% off discount code I’m about to provide, so keep that in mind. 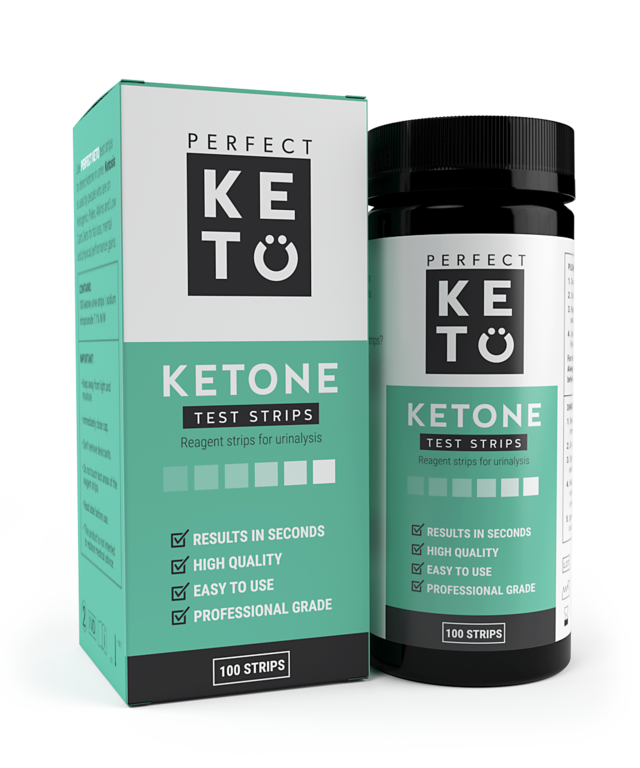 I’m an affiliate partner of Perfect Keto because they’re a brand I trust, so I’m sharing a 15% off discount on Perfect Keto MCT Oil Powder with my lucky blog readers. MCTs are a staple for anyone following a ketogenic lifestyle, and MCT oil powder is the best method of delivery for this fat source. Save 15% on Perfect Keto MCT Oil Powder by clicking here and entering my coupon code FISHYKETO at checkout. My discount code will also work for any other Perfect Keto product you order! Have you tried MCT oil powder? Do you prefer it to oil? What’s your favorite way to add MCTs to your diet? Please share your thoughts in the comments section!